As college students, there is something that we all have in common: homework and studying for exams. Although we dread these things, homework is a tool that helps us to further our knowledge in whatever subject we are learning and reinforces what is being taught in class, while exams are there to assess us on what we have learned and obtained in class. To help students succeed in school, college campuses should provide spaces for their students to be able to work on their assignments. 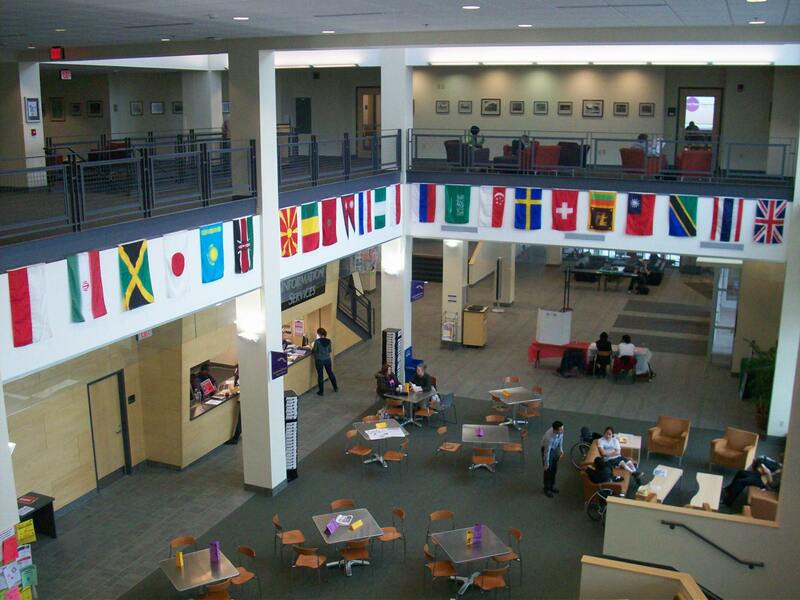 Here are some of the places that the University of Wisconsin-Whitewater provides for students to work on their academic responsibilities and succeed in school. To begin, let’s start with the obvious choice: the library. 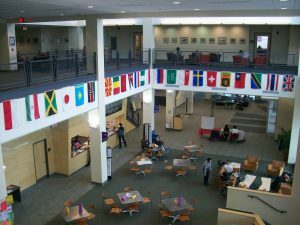 On the main floor of the Andersen Library, there is a wide variety of spots where students can do their homework or study. There are many tables throughout the main floor for students to use. Whether you’re doing school work alone or with a group of friends, the Andersen Library is a great place to go. They provide spaces for individuals to work independently and larger tables for group work. The library also has many other great resources for students to use as well. 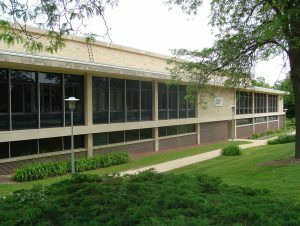 There are numerous computers that are available for students to use, printers, quiet rooms if you like to do school work in peace, a Reference Service desk for assistance in resource tools, and more. Also, if you ever get hungry while struggling through your homework or cramming for your exam, you can grab a snack or drink at Food For Thought, located right on the main floor of the library. The main floor of the Anderson Library is a main attraction for groups of students to work on their school work together so it can get a little noisy from time to time with people talking. 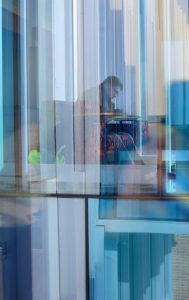 If you are like me and need a place a bit more on the quiet side, the 1st and 3rd floor of the Anderson Library is the place to go! The 1st and 3rd floor are designated to be quiet floors and are great places for working individually or quietly with a group. Just like the main floor, the quiet floors have many tables scattered all around for students to use. Both floors also have computers and a printer as well! The University Center is also a hotspot on campus for students to complete school work as well. There are many different parts of the UC where you can do your homework or study. The concourse is a great place to hang out with friends while casually doing some school work. During the day, the concourse may fill up rather quickly and can get quite noisy with groups of students coming together to hang out. Other spots in the UC such as the computer lab, Warhawk Connection Center, and the lounge areas are also great spots to work on assignments. The UC also has many different places to grab a bite to eat if you’re ever get hungry or need a break from working hard on homework or studying such as The Olive, Ike’s, Einstein Bros. Bagels, Willie’s, and Freshens. Also, if you’re ever in need of some studying supplies, the Information Services desk sells supplies such as pens and notecards. The desk also has laptops that are available for check out; all you need to checkout a laptop at the desk is your HawkCard! Another great place to get some work done on campus is on the 3rd and 4th floor of Hyland Hall. Hyland Hall has two study rooms that both have a huge window and a great view of the mall. If you are looking for a small, quiet place to do school work, then this is the place for you! In the study rooms, there are many tables that students can come in and use for doing homework or studying. There are also some comfy desks and couches in the study rooms as well. In the 3rd floor study room, there is a vending machine if you are ever in need of a snack or drink. If you’re looking for something else that isn’t from the vending machines, there is also a Starbucks that is located on the first floor of Hyland Hall. Where do you go to finish your school work? Do you know any other places on campus to work on homework/study? Let us know in the comments below!